An easy fun accompaniment for any song - The Reggae Strum! This is the easy - beginners version of the reggae strum. It's easy because it uses right hand muting to play the rests. This is also a great exercise in control and right hand technique. Anyone can play it and apply it to any song! Rest the side of the palm of your hand on the strings, right next to the bridge, with your thumb pointing outward away from the ukulele. Make sure that you hand is muting the strings as it rests on them. lift your palm up enough that you will be able to strum a chord and have it ring clearly. 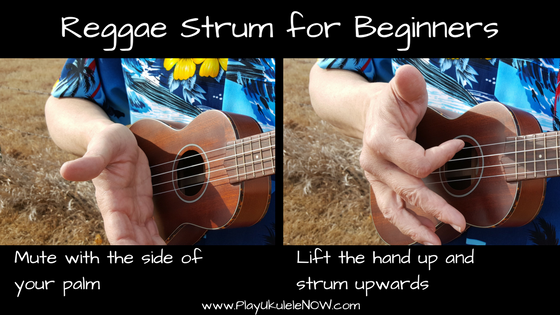 strum the strings with an upward motion, using your first finger. After step 2, lay you palm back on the strings to mute them - go back to step 1, continue to repeat this. After you master it with an upward strum, try it using a downward strum, rather than the upward strum. Not sure about strumming or how to strum? Try this first with some of the easy songs you already know, the first songs in the eBook would work great for this, if you don't already have your eBook get it now! 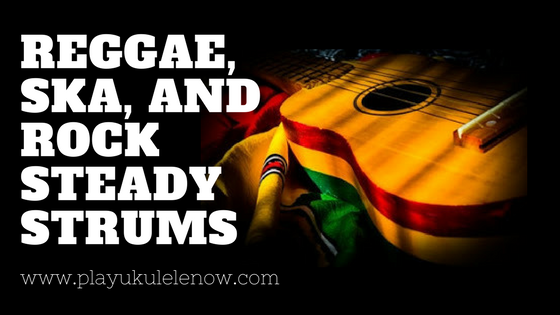 The Rock steady strum and the ska strum are variations of the reggae strum. You will need a metronome in order to play them. A metronome helps you keep time, when you strum and count along with a metronome each count is on one of the clicks. As you can see on the page above you can choose between 30 and 330 beats per minute, most music is between 75 and 140 beats per minute. Most teachers recommend always playing with a metronome, one of the things most beginners have trouble with is keeping time. Rock steady is a music genre that originated in Jamaica around 1966. A successor of ska and a precursor to reggae. 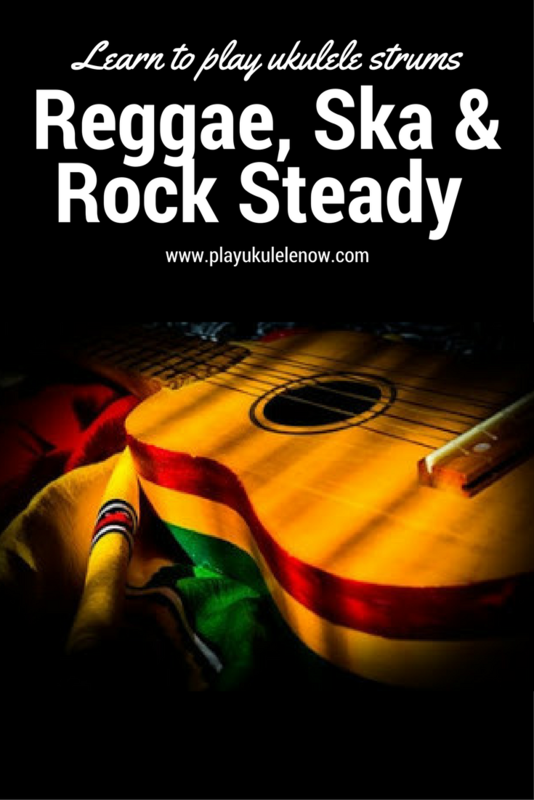 The rock steady strum is simply the reggae strum played between 75 and 100 beats per minute. Take some of the easy songs you already know and set the metronome for a rock steady strum and play along. Try some different numbers in between 75 and 100 beats per minute. Ska is a music genre that originated in Jamaica in the late 1950's and was the precursor to rock steady and reggae. 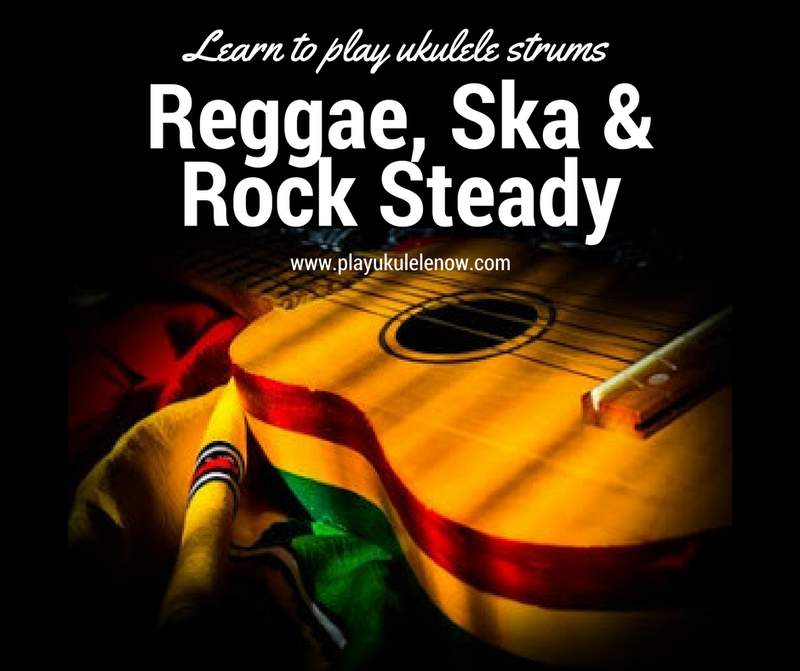 The ska strum is simply a reggae strum played between 110 and 140 beats per minute. 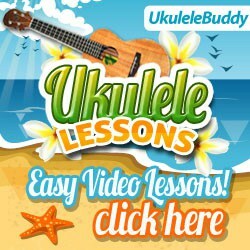 Take some of the easy songs you already know and set the metronome for a ska strum and play along. Try some different numbers in between 110 and 140 beats per minute.